Thank you for your interest in our Ringo Backpack. Please complete your details on the 'Quick Quote' form and click the Submit Button at the bottom of the page. 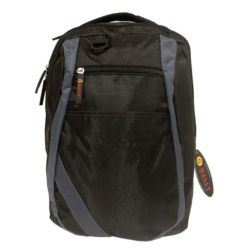 A customer service consultant will contact you about the Ringo Backpack with a quotation. 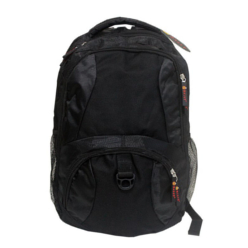 Ringo backpack is specially made to serve the purpose it is designed for; the fabric strength is 600D & 1680D, it contains front zipper pocket, padded carry handle, padded shoulder strap and a padded back support. 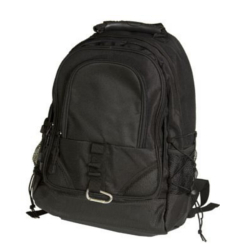 The Ringo backpack has a measurement of length 40cm x width 28cm x height 20cm. 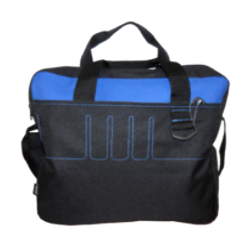 Ringo backpack has a multi functional use, it can be used to carry things like books, clothes, portable electronics like laptops and other personal effects.